Appraisal policies is a manifestation of every company’s commitment to support their employees’ individual and smart goals as well as in helping them reach their utmost potential. It is also a company’s way of setting targets and its standards of excellent and exceptional work performance. An appraisal is an opportunity for employees to be able to get a consistent and reliable feedback regarding their work performance. 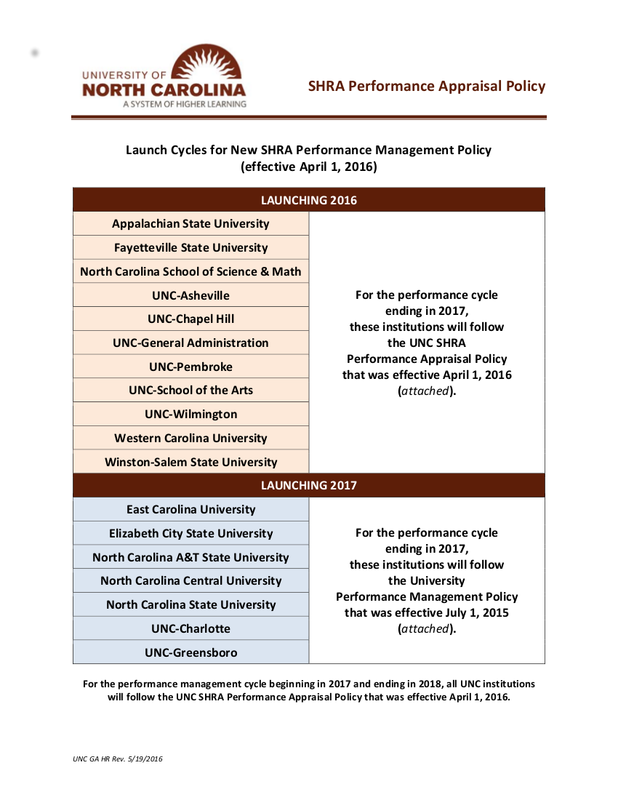 Through this, they will be able to know what their needs for improvement is, as well as on how to improve it. They will also be given the opportunity to know which parts of their work they performed well so that they would know what they should be doing consistently. Without an appraisal, the individual performance of every employee will not be systematically evaluated. Aside from performance, the employees will also be evaluated by their attitude and behavior since their work performance can be affected by these factors. Appraisal application comes in forms like additional compensation, promotion, and even termination. 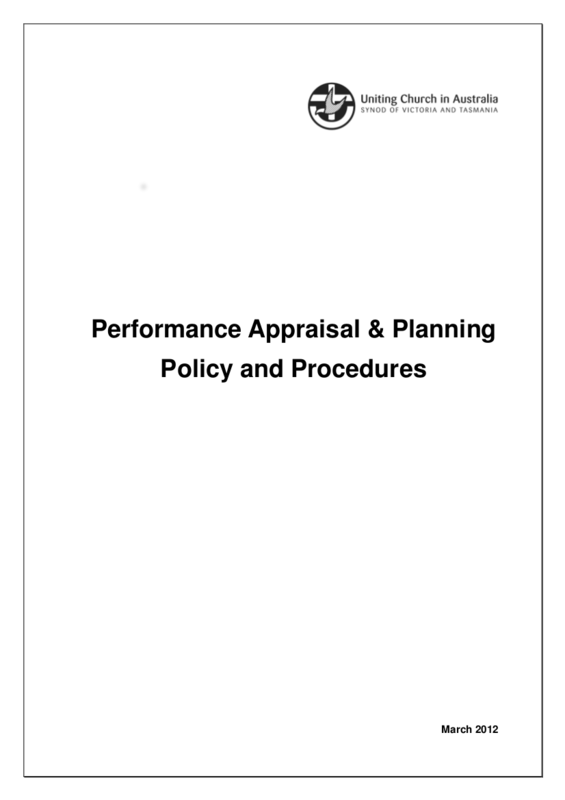 Effective appraisal policies motivate employees to perform their jobs better. 1. 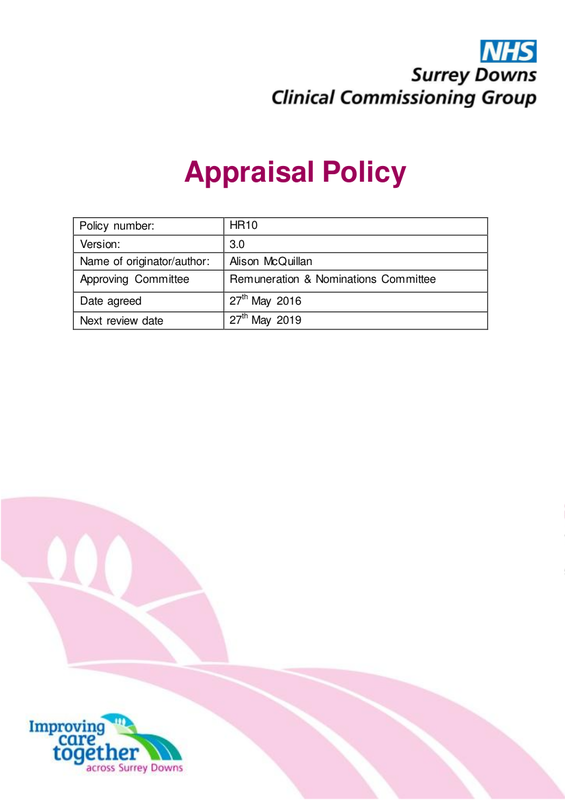 Appraisal policies always strive to improve the quality service of a business by making sure that they provide a workforce that is competent and that it comprises of individuals who continually strive hard to become better than they were before. Not all hired employees are the best of the best, but they are hired because the human resources must have seen a potential in them. Through appraisal, the efforts the employees have done in the course of their employment will be given recognition. 2. 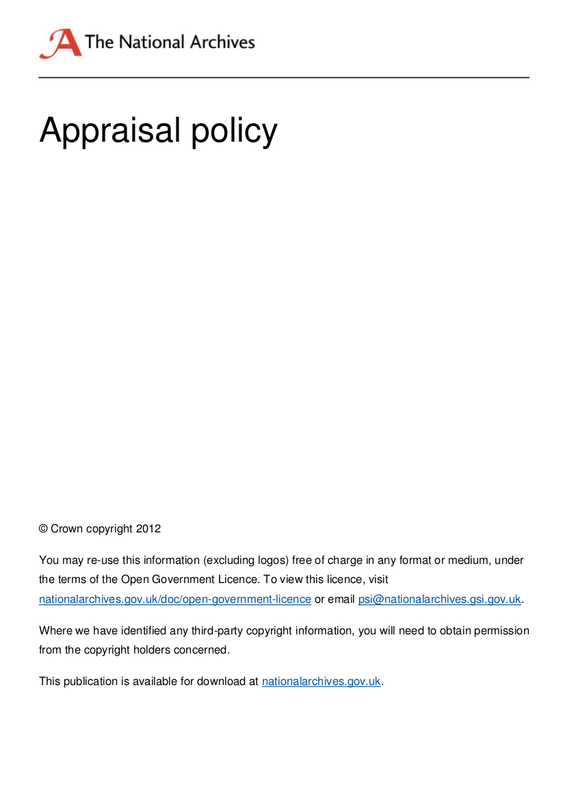 Appraisal policies ensure that appraisals are done more than once in a year. Once is not enough to review the progress that has been made by every employee in the company. For example, you only schedule a formal meeting on appraisal with your employees every June. That is not enough to keep track of the progress your employee has made. Once a year does not make any difference to both your employee and your business. It is recommended to keep track of their progress once a month and not just once a year. You have to keep track of their deficiencies and also the points where they are performing well. You have to keep track whether they were falling behind or they are gradually or speedily rising to success. 3. 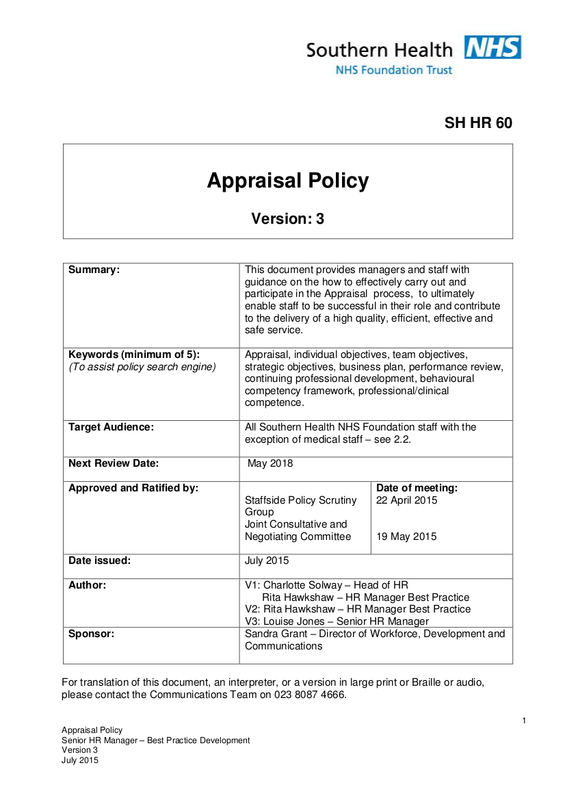 Appraisal policies make sure that both of the need for the employee and the employees are met. 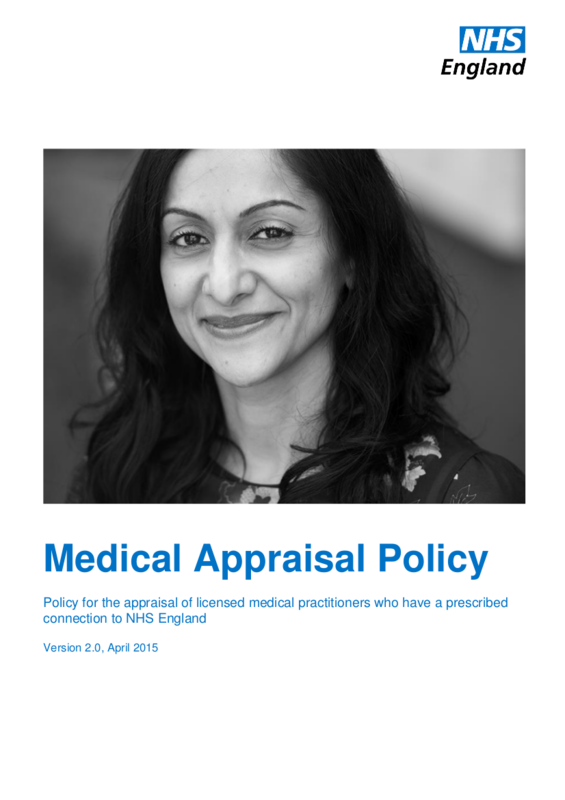 The appraisal discussion is a two-way communication exercise to ensure that both the needs of the individual, and of the organization are being met, and will be met in the next year. One of the needs of the employee is their individual growth. As their employee, you have to make sure that your employees are actually meeting their goals in life and career. You are ought to play an active role in their career as this will help them in their development not just in their career but as well as n er personality, attitude, and behavior. One of your needs as the employer is the growth of your business. It will surely be met with the help f your employees that is why you have to work hand in hand with them to achieve the company’s vision, mission, and goals. 4. 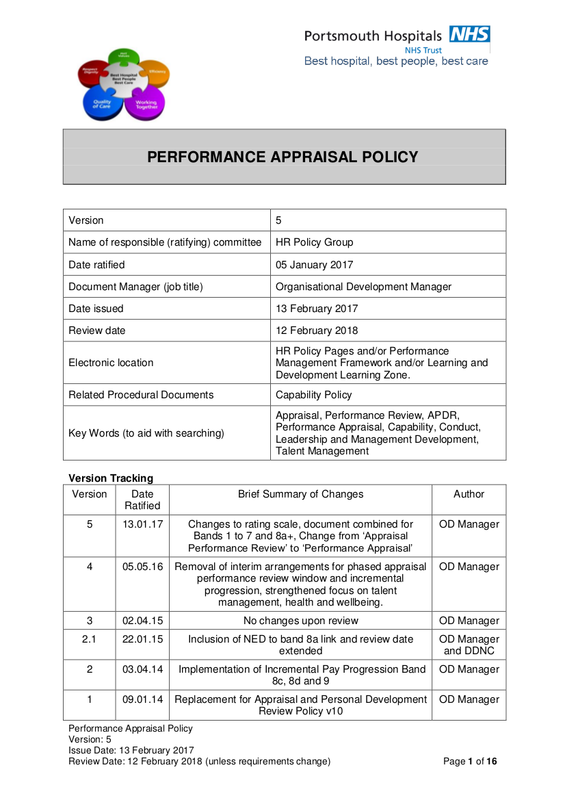 Appraisal policies will enable to organize an analysis of the company’s performance since you will be able to review the previous year’s performance as well as the present. Once you will be able to have an analysis, you will be able to identify which parts you have to work hard on and which part you should keep on doing. With this in knowledge, you will be able to draft a development plan, like that of Strength, Weakness, Opportunities, and Threats Analysis or SWOT Analysis that will be useful in the years to come for the business. 5. Appraisal policies will enable appraisal process that will help in identifying the goals of every individual in the business. Appraisal policies could also work well along with training policies o make sure that every interest of every individual in the business is being prioritized. You might wonder why it is important to know your employees’ personal goals because probably, the goals that are important to you are nothing else but your business goals. But the truth is, it will be hard to achieve your business goals if you would not be supporting your employees’ personal goals. Once you employees’ personal goals will be met, they will be more than willing to participate in the achievement of the business goals. 6. 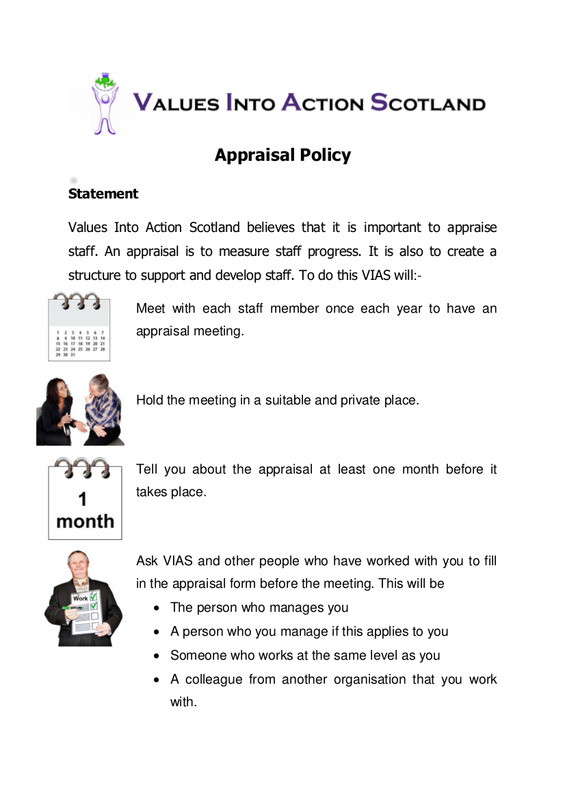 Appraisal policies make sure that every staff would receive an appraisal or at least an appraisal training. 7. 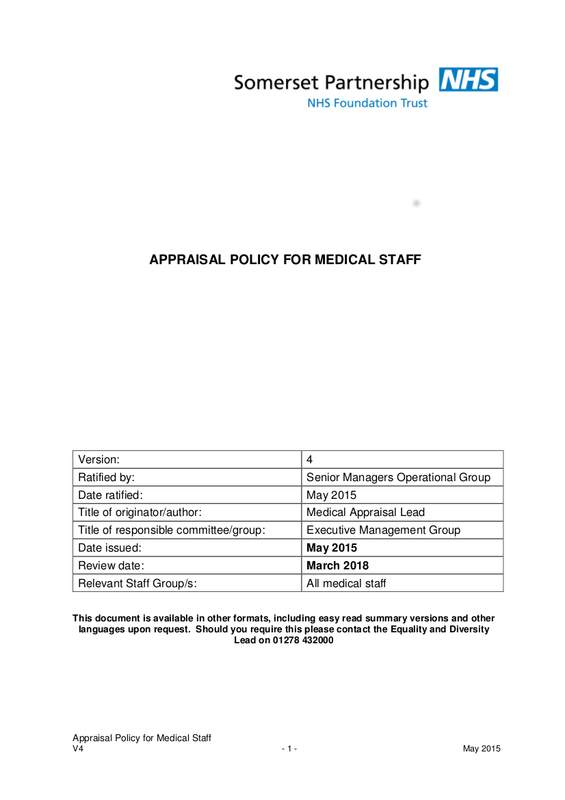 Appraisal policies ensure that the appraisal process will be able to secure the appraisal of every individual with valuable data that will be able to guide tho who are assigned to handle the appraisal process. False data would usually end up the employee in a bad state like hey would not receive appraisal at all but if the management who will have the appraisal process has a valuable, reliable, factual data, the appraisal process will be done justifiably. 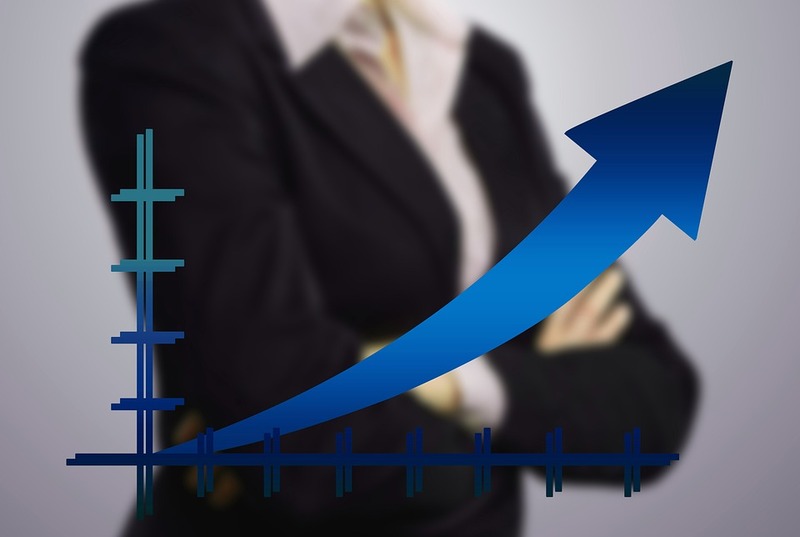 Appraisal policies help you as a business owner in identifying effectively the strengths and weakness of the performance of your employees and it even includes the high-ranking positions like the manager and the supervisors. This also provides an opportunity wherein you employees would be sharing with you their individual goals particularly their career goals. The importance of knowing their goals is that you would be able to know what aspect can you be of help to them. Helping your employees is a good thing since, in return, they will also be able to help you through meeting the company’s vision, mission, and objectives. Developing their skills and strengths is also a way for the company to develop itself. Appraisal policies contribute a lot to the company’s journey to success appraisals make the line of communication between you and other high-ranking business officials, like the supervisors and the managers and the employees. IT builds a genuine rapport and a healthy communication between two parties which will result in a harmonious relationship between the two. And we all know that once there is harmony in the workplace, it would lead to better performance and productivity by the employees and the eventually a better performance and productivity of the business. 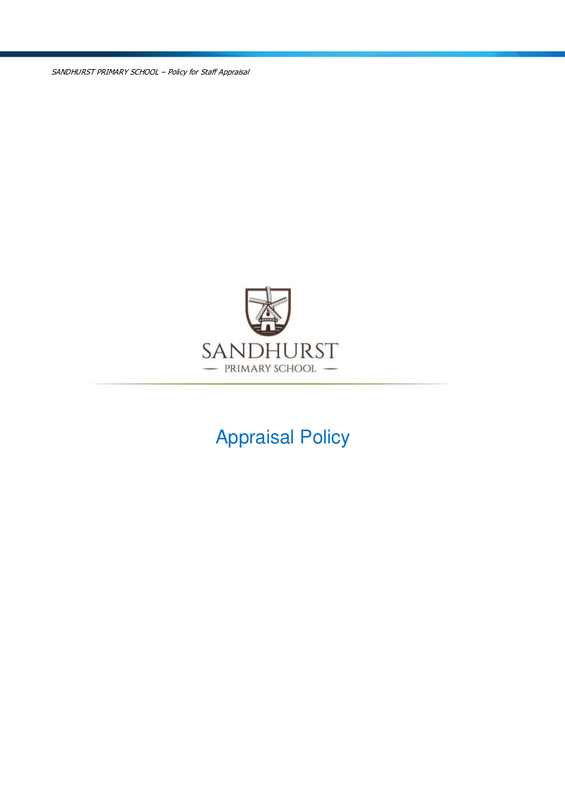 Appraisal policies enable the company to have a detailed information about their employees. Information about the skills and even the talents every employee possesses should be known by the employer. Once you have a detailed information about your employees, this would encourage them to become loyal to you because human as we are, we always want to have our efforts recognized and when we see that our talents and skills are being recognized and known to other people, we feel proud of ourselves, therefore we perform better and we treat other people as best as we can. It is also in knowing your staff well will give you a fast pacing in your office. Let us compare three companies: Company A, Company B, and Company C. Company A does not have an effective appraisal policy that is why when they are trying to plan for a project for the business, they do not know who to assign in the project because they do not know who is fit to handle and lead the project that is why they did not push through with their project. Company B also has a project and pushes through with it and the designations and carelessly assigns just anyone without thinking whether the individuals assigned are capable enough to handle and lead the project. Company C also has a project but before assigning anyone on a designation, they made use of an appraisal process in which every employee was given an opportunity to have their skills known. What company do you think that will be able to have a fast pace in their business operations? It’s definitely Company C because even if they would have to do an appraisal process first before pushing through with their project, they would have lesser problems in the future. Any changes that may happen in the future may cause a lot of time to be wasted since they were able to give designations to the right people or to the employees who suit best the designations of the project. It does not only save time and effort but it also saves them resources since sudden changes and failures in a project would mean other additional costs.